Back on July 11th, Google users received some dismal news. When asked on Twitter if an update for Google Penguin was imminent, Gary Illyes, a Webmaster Trends Analyst at Google, replied that such an update was months away. It confirmed the worst-case scenario fears which began back on June 2nd at the SMX Advanced 2015 session in Seattle. At that session, Illyes first noted that Penguin was several months away from a new update. This was a crushing blow to webmasters needing the refresh of Penguin. For those of you who aren’t sure what Penguin is or how it impacts your Google searches, it’s really quite simple. 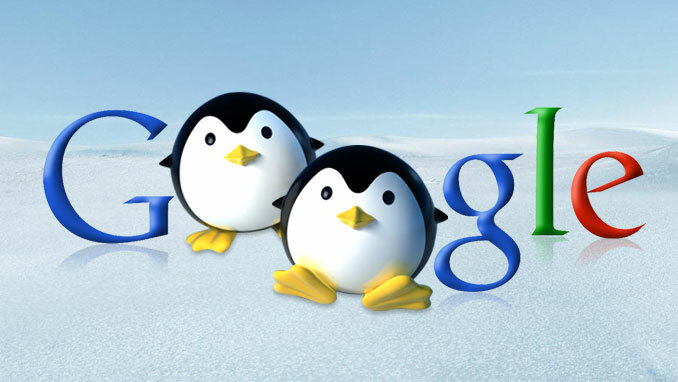 Google Penguin is an algorithm that was initially launched in April of 2012. Its main focus is to lower the search page rankings of websites that are in violation of Google Webmaster Guidelines. Essentially, Penguin is expected to decrease the number of spammers, half of whom post in English, but the other half of whom post in foreign languages (Arabic, Mandarin Chinese and German are the leaders in this category). Eliminating these irrelevant spam links lead to fewer websites with heavy pop-ups and advertisements, and therefore more relevant links available for immediate access. Through analysing these trends, we can see that it would certainly be no surprise if a new Penguin update has not been launched by October. Each Penguin update has been incredibly inconsistent in its effectiveness. Aside from the initial launch of Penguin and the Penguin 2.0 update back in May of 2013, every other update has affected either 1 percent or less of all Google queries. Even more alarming is the fact that the release dates of each Penguin update have grown further apart and have become inconsistent. While the first two updates were launched just over a month apart from each other, the gap has drastically widened since. Versions 1.1 and 1.2 launched within two and a half months of each other, but the wait for version 2.0 took nearly eight months. After a four and a half month gap between versions 2.0 and 2.1, Penguin users had to wait for over a full year until version 3.0 was launched. If Illyes was correct in his statement, that lengthy period of time will only grow for the next update. The biggest question concerns why Google could possibly take so long to create the new update. With over 55,000 well-motivated and properly educated employees, there is certainly no shortage of individuals both willing and motivated to help make the new updates happen as quickly and efficiently as possible. It could be argued that since Google has also launched Hummingbird and Panda, two other search algorithms (although they have different objectives than that of Penguin), they are more eager to advance both of those algorithms. Why? Perhaps they view lowering the ranks of “low-quality sites” (Panda’s main objective) and more accurate search results based on an entire search phrase (Hummingbird’s main objective) more than Penguin’s main objective of eliminating spam searches from high-quality sites. Still, spam and heavy pop-up links are a major problem with Google searches, arguably more so than anything Panda or Hummingbird would fix. As Chris Rowan states from a popular SEO Belfast based company… “Google is going in the direction of a real-time continuous Penguin refresh algorithm, which will eliminate the need for further one-off updates. Although it will take longer than October to roll out, it is the correct course of action for Search moving into the latter half of this decade and beyond”. In sum, it certainly looks bleak for Google searchers. When a high ranking Google official makes a point-blank statement multiple times that a particular update will not be available by a specific time, it is highly unlikely that such an update would be available in that time frame. If it turns out that the Penguin update is ahead of schedule and is available by October – or even announced with a launch date in early November – then it will be met with wide acceptance by the Google community that are in need of it. But the prognosis still looks grim; there will, unfortunately, almost certainly be no update by the time October rolls around.